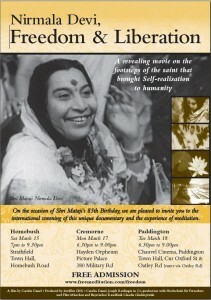 A wonderful and inspiring film about Shri Mataji’s life, “Freedom and Liberation” (G Rating), will be shown in Newcastle. 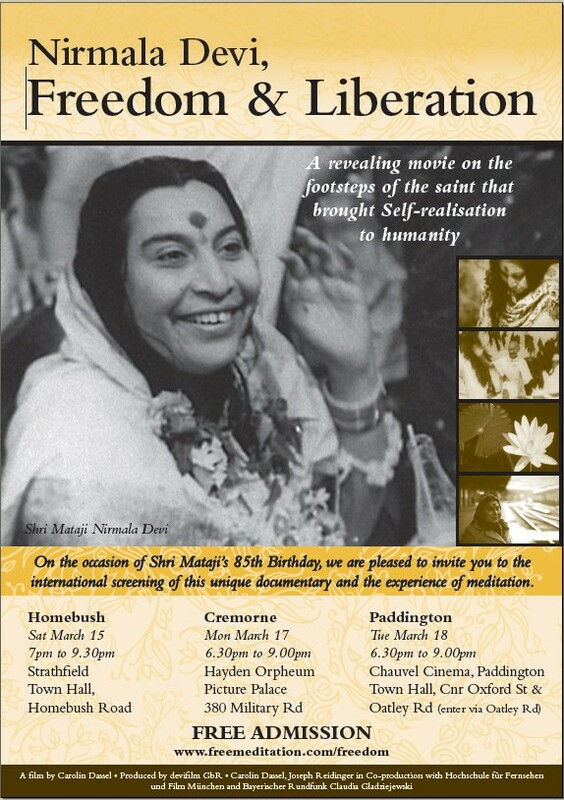 The film provides fascinating insights into Shri Mataji’s early life and her work with Gandhi in the Indian Independence movement. Shri Mataji has travelled widely throughout the world, talking to people about Sahaja Yoga, the method she developed for giving Realisation. Don’t miss this wonderful film!